Simple truths were never simple and only ever partially true. Dermot is a husband of one and father of three. He’s trying to live in his body as much as his head these days to find some more space. 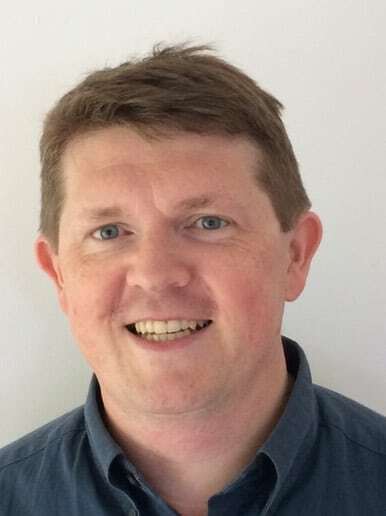 When not writing blogposts for Congregation he takes a critical look at startup ideas on a daily basis while looking to invest in early stage companies at NDRC. In the end it is John or me. The morning after my eldest son was born I went back into the hospital. When I held him, swaddled in a blue blanket, I cried. They were tears of joy and of relief. That he was well. That my wife was well. My tears mixed with that smell of a new baby. A big upwelling of emotion. I laughed. At my tears, at the joy of the moment. All-encompassing overwhelming emotion communicating the moment as a feeling of the body. Told all at once rather than piece by piece. A felt sense. A sense of what my parents felt for me. I looked at my son and the world changed. And turned and changed each time my children were born. And yet and yet. Despite the books I’d read, despite the rejection of many manly things I was caught in web of ideas. This solid layer of our culture. Embedded in it. Imbued with it. Don’t really think too much about how you feel. It’s a subtle and sometimes none too subtle rejection of feeling and of expressing emotion other than big ones. And in reality I lacked the language to express them. The word “fine” stands as a placeholder for a myriad of daily thoughts and feelings, mine and many others. And now I wonder if you don’t fully feel and express emotions, if you don’t or can’t turn them into language how do you ever learn to manage them. How do you fully make sense of the world. And if you can’t make sense of it how can you fully act in it. We’ve moved on from John Wayne. All the way to the Avengers. While Spiderman might be a more relatable than Superman (teenage angst yea! ), superheroes still offer simple answers to the simple questions. And the grounds of society are itself shifting in many profound ways. Slowly and in the right way. And yet. And yet. And yet there is a crisis of manhood. And an epidemic of male suicide and alcoholism. And layers of mental health problems that we are just starting as a society to deal with. And I look at three boys and wonder how to prepare them for the world. As society shifts we are recognising and grasping for broader and better ways of making sense of things. I think (I feel) much of this crisis is one of language and identity and emotion. I don’t think it is anything new. Simple truths were never simple and only ever partially true. Religions have looked at this problem in the past and looked for ways to fix it. Before priestly piety rolled over notion of goodness and love. And we need to work towards ideas and ways of being that account for it. Because the new pious priest of simple answers, the Jordan Petersons of this world, move to fill these gaps with the bromides of simple untruths. So how do I kill the idea of John Wayne? The layers of sediment have been laid down over many years. I need to peel back the layers slowly and sometimes painfully and build back in other ideas and experiences to fill it in. With ideas that don’t reduce experience but enable us to recognise and feel and make sense of the richness of experience. If the limits of our language are the limits of our world we need to push out those limits. We need to touch and express the states and feelings of our body. In the little things. Daily. And if we do, if I do it will leave me better able to act in the world. Because that is what it is all about. How we act in the world and how we act towards making a better and kinder world. 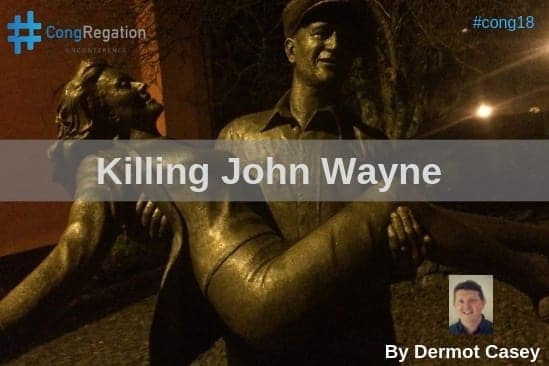 In the end killing John Wayne isn’t about John or me. It’s John or my kids.